Gone are the days when buying marijuana was your dirty secret. Today, it’s possible to buy cannabis without any hassles if you’re from a location that’s made cannabis legal. It’s still important, however, to understand how you weigh cannabis and measured if you want to buy any. Instead of going with a typical eighth, you now have options. And in this article we’ll go over how many grams in an ounce of cannabis. To calculate the number of grams in an ounce, you have to know that an eighth weighs 3.5 grams. An eighth actually measures 3.54 grams, but it’s rounded off to 3.5 grams to make it easier. Since an ounce contains eight eighths, it's 3.5 x 8 = 28 grams of cannabis. Depending on how much you smoke, you can make an estimated guess on how much you’ll need. Depending on where you live, your dispensary weigh with the imperial or metric system. The imperial system measures things in ounces and pounds, but the metric system is simpler and uses just grams. Typically, most people buy an eighth of cannabis to start with. You could also buy a “half eighth” or teenth measuring 1.75 grams. 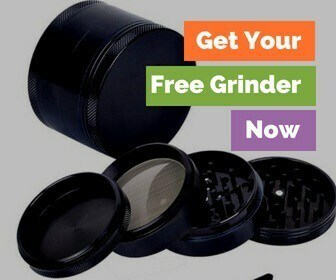 Or maybe a “quarter” weighing 7 grams or even a “half” that weighs 14 grams. Regular smokers often buy an ounce, and people that buy in bulk to stock it can also go up to a pound (453 grams or 16 ounces). However, buying in bulk can reduce the potency of the cannabis because THC degrades over time. It will morph into a CBN-dominant high that will put you to sleep. Here’s a visual guide to measure cannabis. How Long Does an Ounce of Weed Last? An average joint can weigh anywhere between 0.3 to 0.5 grams, depending on how you rolled it. While some prefer blunts, a blunt fits a lot more marijuana, and you’d need almost a gram per blunt. So, if you stick to an average joint that takes approximately 0.5 grams, your 28 grams will give you at least 56 joints. If you smoke a joint every day, you can expect an ounce to last for about 56 days. Unless you weigh out each joint, an ounce will probably last for at around 45 days. For people that smoke bowls, 28 grams at 2 bowls a day will last for almost a month since a bowl can fit in about .5 gram. However, a weekend spent with friends can easily reduce these numbers, so remember that it’s just a basic estimation. 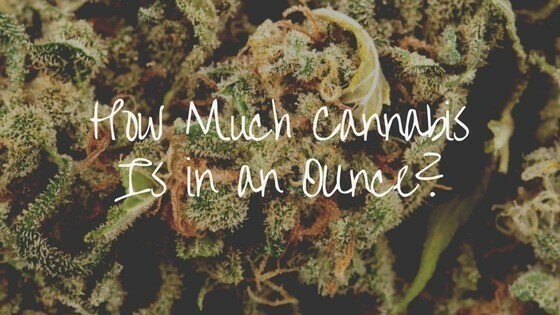 What’s The Size of an Ounce of Weed? The physical space that an ounce takes up is dependent on the strain. Indica buds tend to weigh more than their Sativa counterparts since ​Sativas are fluffy and airy. Buds that are not cured properly can also weigh more. But you won’t face such problems if you’re dealing with well grown cannabis. If you’re growing marijuana yourself, it’s simply perfect because you control how it's cured. An eighth will give you about 2-4 big buds and fills the bottom of a small sandwich bag. An ounce will weigh eight times more than that, and usually fills up an entire Ziplock bag. Hence the slang term zip. Just because we are no longer being forced to buy from shady dealers, doesn't mean we don't need to know. If you’re suspicious about the weight, it’s a good idea to invest in a digital scale. Plus, they help you weigh out your cannabis for edible doses. A good digital scale that measures accurately to 1/10th of a gram, meaning scales that start from 0.01 grams will be perfect for you. Make sure that the scale has the capacity of weighing at least 100-200 grams. It doesn’t make sense to invest in another scale to give you bulk measurements. This way, no matter what you buy, you’re always covered. It's a worthwhile investment, though, because it will even help you figure out just how much you're smoking per day. So, to remember how many grams in an ounce just think about eight eighths! Do you ever buy by the ounce? Do you think it helps you conserve cannabis or smoke it faster? We'd love to hear about it in the comments below!